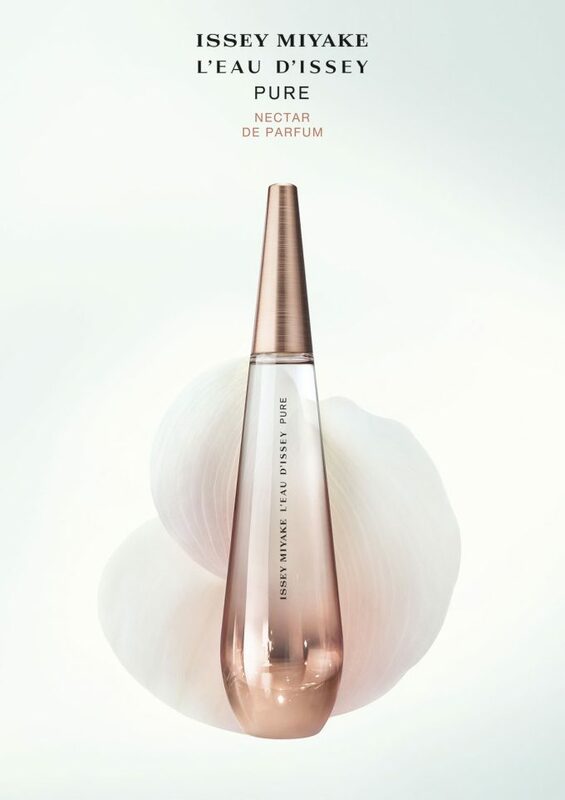 Famous Japan house Issey Miyake delights its wearers with one more thrilling and sensual perfume for women, L’Eau d’Issey Pure Nectar de Parfum - the new flanker to brand’s iconic L’Eau d’Issey launched in 1993. The new perfume inspires a delicious/nectar perfume to please and warm women during the whole day. Issey Miyake L’Eau d’Issey Pure Nectar de Parfum is created by famous perfumers Fanny Bal and Dominique Ropion as a sweet indulgence. It opens to impress with sweet pear accords along with sweet honey, rose absolute, and fresh aquatic accords. The base calms on a woody layer made of sandalwood, cashmeran, and ambergris. Issey Miyake L'Eau d'Issey Pure Nectar de Parfum is available in 50 and 90ml Eau de Parfum. The perfume will be available on the market shelves starting with the 2018 year. L’Eau d’Issey Pure Nectar is offering the essence of the Issey Miyake woman of natural elegance & fresh fluidity.